Play LA Noire, Max Payne 3, says Rockstar. 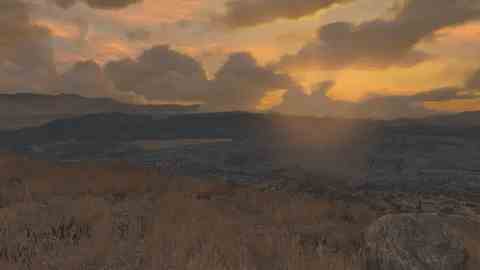 Sandbox cowboy game Red Dead Redemption is unlikely to launch on PC, Rockstar has said. In a Max Payne 3 Q&A on its website the company said that despite Red Dead Redemption's absence, PC gamers have a lot to get on with when it comes to Rockstar games. "We hope that with the announcement that L.A. Noire is coming to PC this fall, and the knowledge that our next big game Max Payne 3 will have a PC release (plus that we've released both Grand Theft Auto IV and the Episodes from Liberty City for PC), we can finally put to rest any misconceptions that we've 'abandoned the PC platform'," Rockstar said. "We do know that, yes, there is just one title absent from our PC release plans - that game of course being Red Dead Redemption, and of course we're well aware that some fans have been asking for it. All we can say is that whenever it is viable (technically, developmentally and business-wise) for us to release a game for PC (or any other particular platform) - we will and we usually do; unfortunately, that is just not the case 100% of the time for all platforms. "To PC gamers, we hope that between the Grand Theft Auto titles, and the forthcoming L.A. Noire and Max Payne 3, you'll have plenty of great Rockstar action to enjoy." Red Dead Redemption launched in May last year to critical and commercial acclaim. Eurogamer's Red Dead Redemption review lassoed an 8/10. It has shipped 12.5 million copies to date.